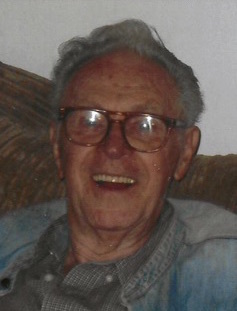 PEORIA HEIGHTS – Robert Vernon Crane, 88, of Peoria Heights, IL passed away on Wednesday, January 23, 2019 at Unity Point Health-Methodist in Peoria. He was born on June 10, 1930 in Peoria, IL to Vernon R. and Olive J. (Bohm) Crane. He married Marjorie J. Cunningham on July 16, 1956 in Peoria. She survives. Also surviving are his three daughters Sheryl L. (Gregory) Hill, Margie J. (Kevin) Kepler, and Valerie L. Crane; six grandchildren Neecol Carbonia, Erin O’Dell, Malia Lewis, Lincoln Andersen, Willow Crane, and Evan Andersen; eight great-grandchildren; and sister Carol (Richard) Price. He was preceded in death by his parents, son Robert D. Crane, and sister Evelyn Knestrick. Robert worked at Illinois Central College for 28 years, retiring in 1998. Cremation rites have been accorded. A private celebration of life will be held at a later date. Memorials may be given to Luthy Botanical Garden, 2520 North Prospect Road, Peoria, IL 61603. Online condolences may be given to Robert’s family at www.peoriafuneral.com.